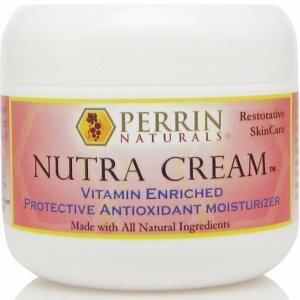 This formula may assist with the symptoms of sun-damaged skin, rosacea, age spots, lichen sclerosus (sclerosis), abnormal skin tissue, and will support overall skin health. 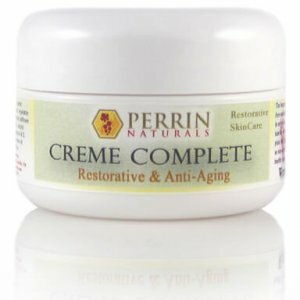 Creme Complete is a highly concentrated cream that will deeply moisturise and protect your skin. 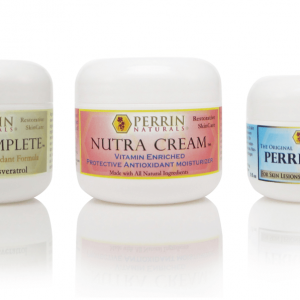 100% Natural – How does it work so well? Resveratrol and grape seed extract are powerful antioxidants that have been shown in studies to reduce the growth of abnormal skin cells, and encourage these abnormal cells to self-destruct. Alpha lipoic acid reduces the oxidative stress that can contribute fine lines and wrinkles. CoQ10 has been shown to support cellular energy function and give your skin cells more energy and therefore can have a positive impact on the aging process. 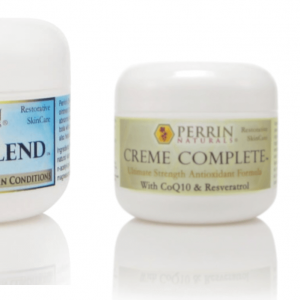 Perrins Creme Complete has an array of antioxidants to fight damage caused by our modern life: CoQ10, alpha lipoic acid, N-acetyl cysteine, vitamin C and E, grape seed extract, resveratrol.